Heylos to all lovely moms, here is my pick for today's Worth A Read! It's not a cross post, or a guest blog by any mommy blogger but a Poem by my personal favourite Mary Ann Evans. She marks the dynamic presence where the world of poetry was dominated by males. 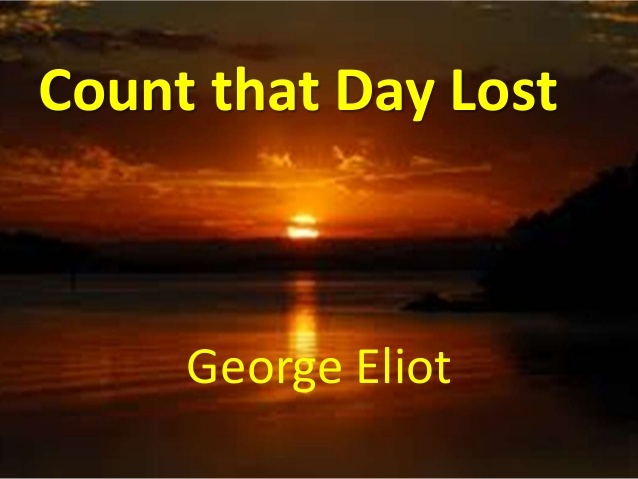 She contributed her works under pen name George Eliot, thinking that the society will take her work more seriously if penned with male name. Nevertheless be it her poem or quotes; all have been very inspiring to me. 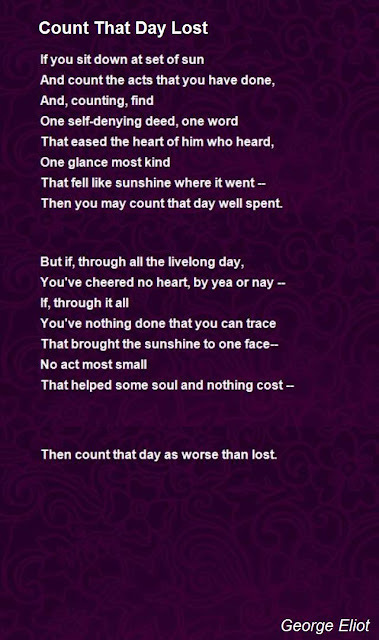 I am sharing one of my favourite works of her which is 'Count the Day Lost'. 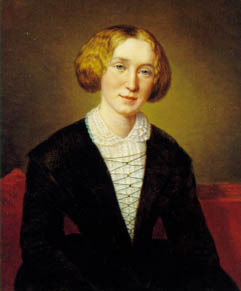 Mary Anne (alternatively Mary Ann or Marian) Evans, better known by her pen name George Eliot, was an English novelist, journalist and translator, and one of the leading writers of the Victorian era. She is the author of seven novels, including Adam Bede (1859), The Mill on the Floss (1860), Silas Marner (1861), Middlemarch (1871–72), and Daniel Deronda (1876), most of them set in provincial England and well known for their realism and psychological insight. She used a male pen name, she said, to ensure her works would be taken seriously. Female authors were published under their own names during Eliot's life, but she wanted to escape the stereotype of women only writing lighthearted romances. An additional factor in her use of a pen name may have been a desire to shield her private life from public scrutiny and to prevent scandals attending her relationship with the married George Henry Lewes, with whom she lived for over 20 years. There are many victories worse than a defeat. One must be poor to know the luxury of giving.